In AllThingsD.com, Emil Eifrem, CEO, Neo Technology writes about how graph databases are tackling the complexity of big data with semi-structured and highly connected data. Faced with the need to generate ever-greater insight and end-user value, some of the world’s most innovative companies — Google, Facebook, Twitter, Adobe and American Express among them — have turned to graph technologies to tackle the complexity at the heart of their data. To understand how graphs address data complexity, we need first to understand the nature of the complexity itself. In practical terms, data gets more complex as it gets bigger, more semi-structured, and more densely connected. We all know about big data. The volume of net new data being created each year is growing exponentially — a trend that is set to continue for the foreseeable future. But increased volume isn’t the only force we have to contend with today: On top of this staggering growth in the volume of data, we are also seeing an increase in both the amount of semi-structure and the degree of connectedness present in that data. Semi-structured data is messy data: data that doesn’t fit into a uniform, one-size-fits-all, rigid relational schema. It is characterized by the presence of sparse tables and lots of null checking logic — all of it necessary to produce a solution that is fast enough and flexible enough to deal with the vagaries of real world data. Increased semi-structure, then, is another force with which we have to contend, besides increased data volume. As data volumes grow, we trade insight for uniformity; the more data we gather about a group of entities, the more that data is likely to be semi-structured. To answer each of these questions, we need to understand how the entities in our domain are connected. In other words, these are graph problems. Why are these graph problems? 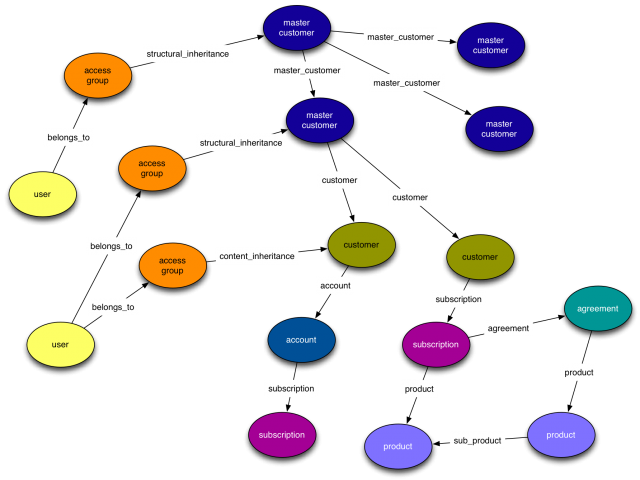 Because graphs are the best abstraction we have for modeling and querying connectedness. Moreover, the malleability of the graph structure makes it ideal for creating high-fidelity representations of a semi-structured domain. Traditionally relegated to the more obscure applications of computer science, graph data models are today proving to be a powerful way of modeling and interrogating a wide range of common use cases. Put simply, graphs are everywhere. Read the full article.